Okay, now we are about to talk about cool stuff called COLORS. 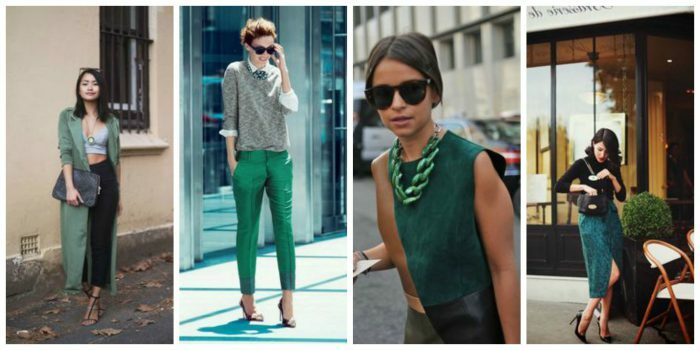 In this article, I want to draw your attention to green color outfits and accessories. 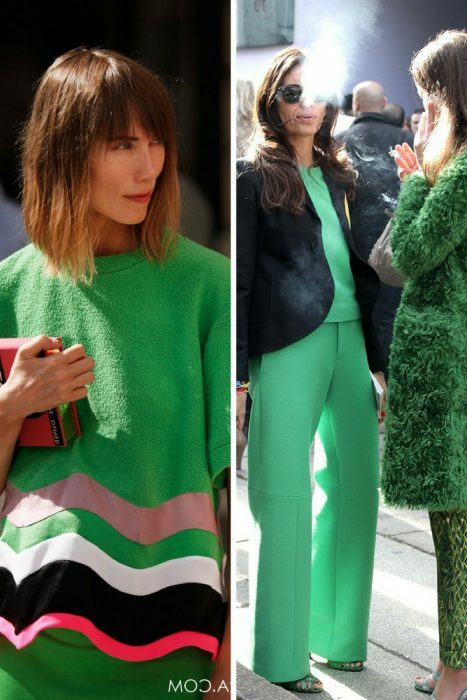 If you can work with this color, then I am 100% sure you gonna be a star of the street fashion. 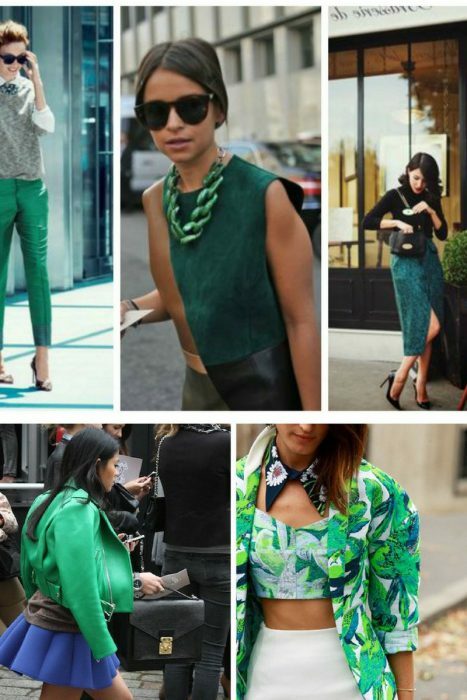 Green can actually make you like like a real celebrity, but the thing is that you defintely should know how to rock it in real life. 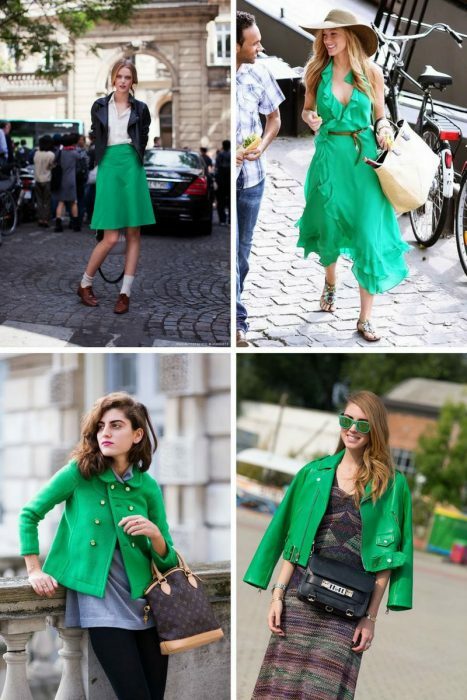 You are about to see street style images where women appear on the streets wearing outfits with emerald green color. You gonna find out what can you wear with a green shirt, what colors match the green dress, what color jewelry goes with the same dress, what color shoes you can buy to look fabulous in the same green frock, etc. 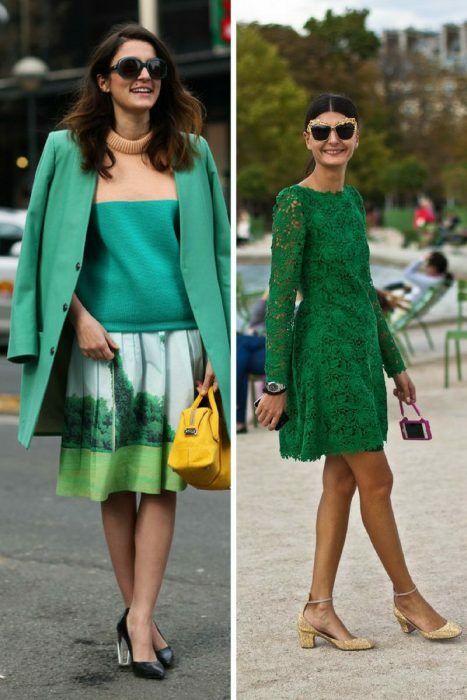 The question remians: how to keep things classy and ladylike by wearing green? 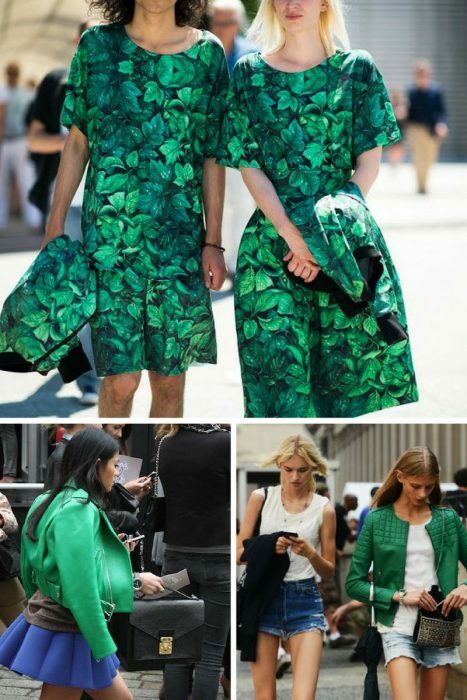 Anyway, we have seen lots of interesting fashion collections, street style images of women wearing GREEN, but how to nail it? You better expect a lot of drama and sophistication, as I see many outfits that can make you stand out from the crowd. Sure, everything depends on the shade of green, as emerald green may look fabulous on dark skin, but the same shade can ruin the pale skin woman. 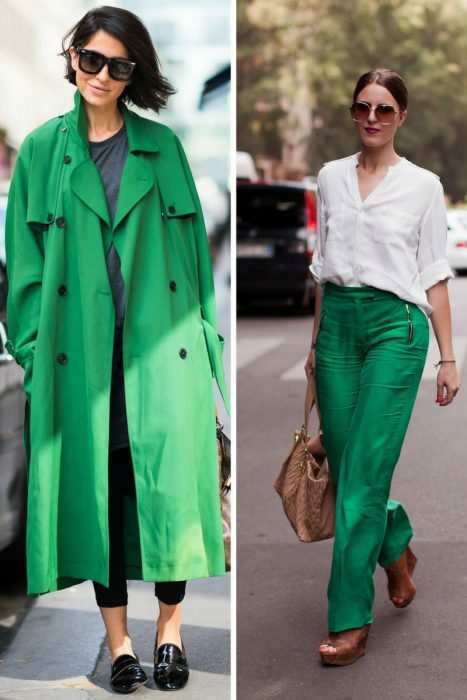 As we already figured out, this color is going to rock the streets next year, so you better find cool green color clothes to make this trend look fabulous. How to make things look gorgeous? 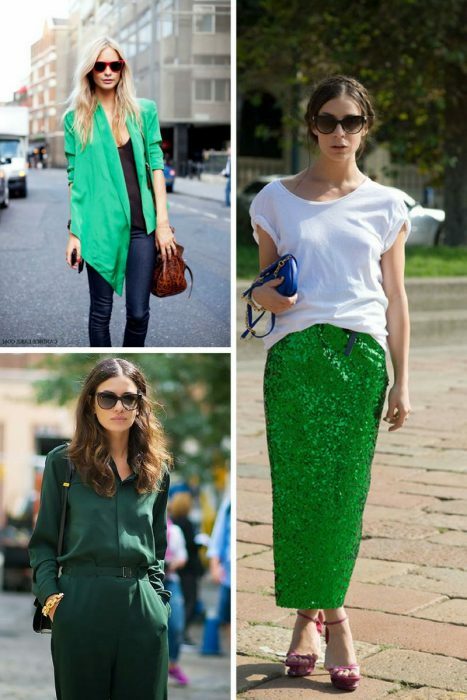 You will need to try electric green, emerald, neon and of course pastel green hue. Make it fresh, royal, refined and rich! 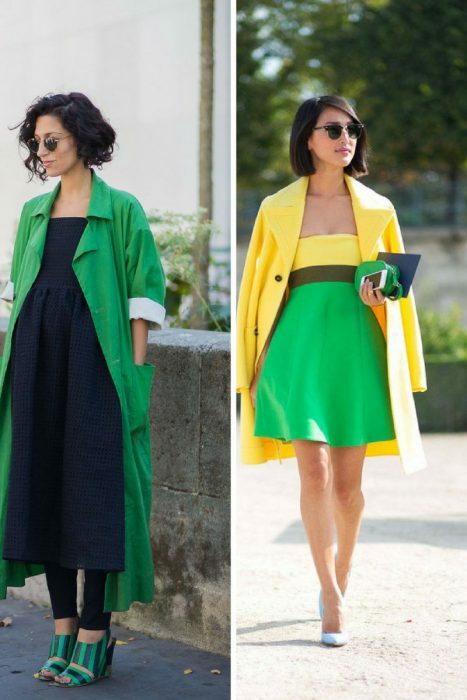 For a daily basis look I prefer to wear light and fresh green, but for special and formal occasions I do recommend to choose darken and rich colors. 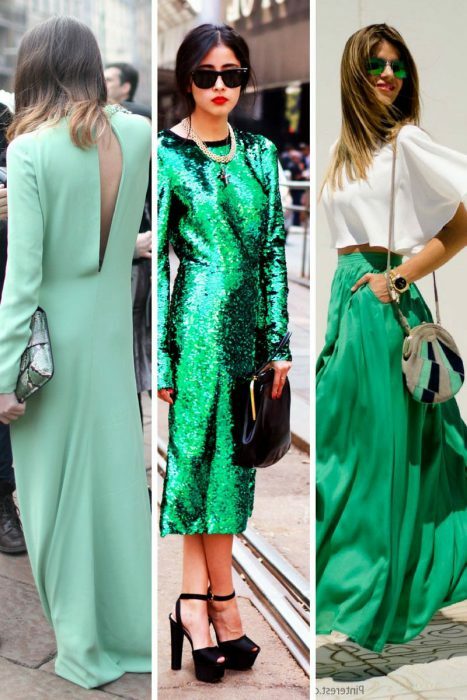 Mint and pastel green are definitely versatile hues that can be dressed up and down. 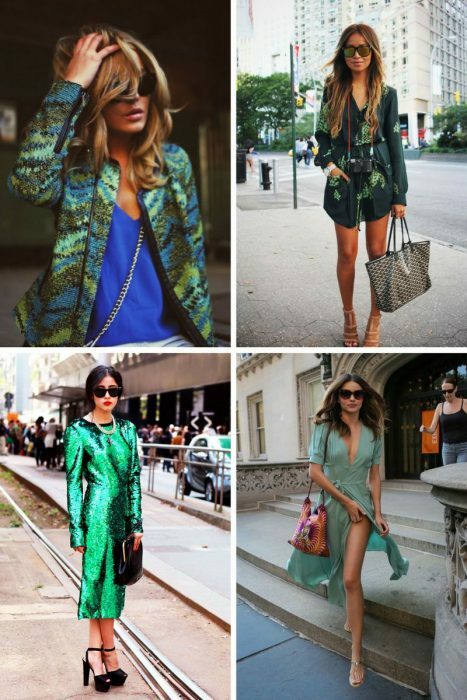 Frankly speaking, I recommend to think out of the box and take risks by trying different shades on your skin, starting from mint to neon, bright and military green. From my rich experience, I can guarantee that green looks awesome with white and blue. Answering the question about shoes and jewelry that can work with a green dress, then there are the following colors: black, blue, white, gold, silver, purple, pink and sometimes yellow with orange. Anyway, take a look at these street style images to get the right does of inspiration.